What inspires scientists to start a career in academia and how do they manage their “Work / Life balance”? In this series of posts by the ZNZ Gender Equality Committee, scientists talk about their motivation, inspiration and philosophy in life. After she obtained her PhD in Developmental Neurobiology at the Université Louis Pasteur Strasbourg, Isabel was trained as a postdoctoral fellow at Columbia University, New York, where she worked alongside Nobel Prize winner, Eric Kandel. She was appointed Assistant Professor in Neurobiology at the ETHZ in Dec 1998 then Associate Professor in Molecular Cognition at UZH and ETHZ in 2005 and is Full Professor in Neuroepigenetics since 2013. She is a member of the Swiss Academy of Medical Science, and was elected Knight of the Legion of Honor in France after being elected Chevalier dans l’Ordre National du Mérite in 2011. Why did you choose to become a scientist? For the intellectual freedom it provides. What are your biggest achievements, and what your biggest failures? To work in a novel and groundbreaking field and contribute to its development. I may have had failures but I forgot. What is a typical day like for you? Morning sport, then work, and finally, reading in bed. What motivated you in difficult times? Our exciting topic of research. How do you manage both career and private life? I had a husband at home who took care of (almost) all domestic matters and an independent daughter. If you had the option to give advice to a younger version of yourself, what would that be? Speak out when needed, dare to voice your opinion. What were the biggest obstacles you had to overcome? Negative biases, lack of support and discouragement by colleagues. What do you think needs to change to make the scientific system more attractive to women? 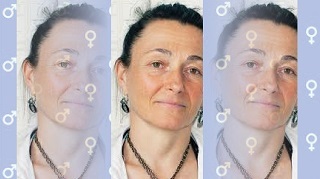 Equality of chance to get a position, to publish, to get funding and awards; similar hiring conditions and similar salary for women; ideally 50% women at higher positions (making decisions); profound change in the education of young male researchers regarding their acceptance of women at a high position. What advice would you give to junior researchers in order to succeed in today’s academic environment? It’s difficult to give a single advice but perhaps for young women: To be prepared to work hard, harder than anyone else to be respected and valued as a colleague to the same extent as a man.